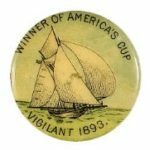 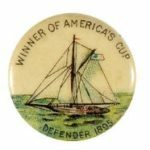 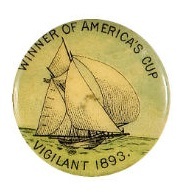 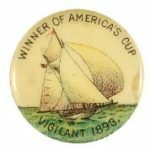 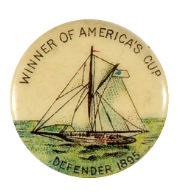 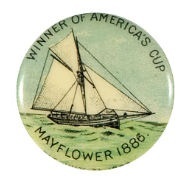 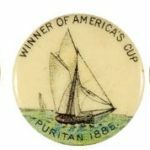 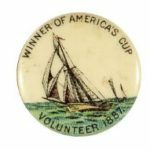 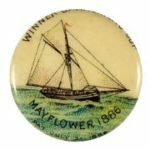 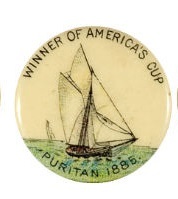 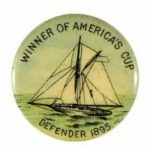 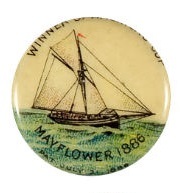 The Yacht Cup Winners, or America’s Cup Winners set of five pinbacks commemorates the five most recent America’s Cup Winners from 1886 through 1895. The America’s Cup originated in 1851 with regular races beginning in 1870 through today. 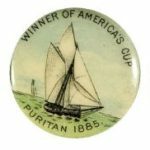 The pins in this set can be found with both American Pepsin back papers as well as the plain Whitehead & Hoag Back Papers. 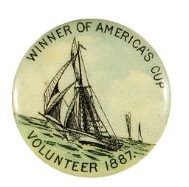 There is a design difference in the pinbacks with different back papers. The American Pepsin pinbacks for the Yacht Cup Winners are found with a white sky in the background whereas the Whitehead & Hoag Yacht Cup winners have a bluer sky in the background. 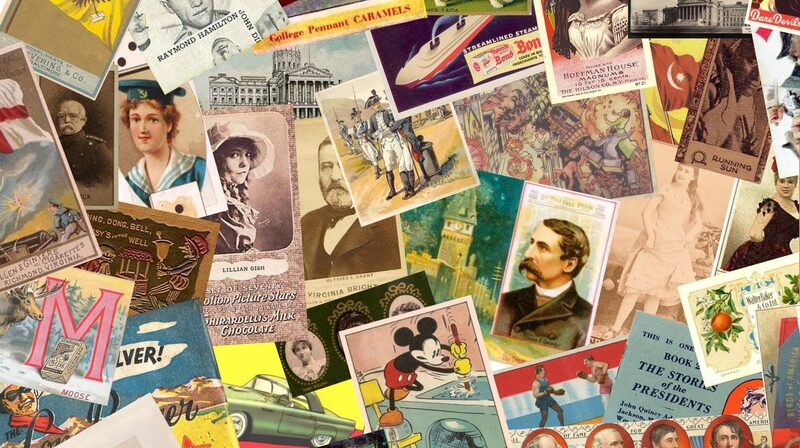 The differences are illustrated below in my sets of each.